Mary Clermont is VP of human resources for Fidelity Investments. The 71-year-old privately-held company employs 45,000 people worldwide, with its headquarters located in Boston, Massachusetts. 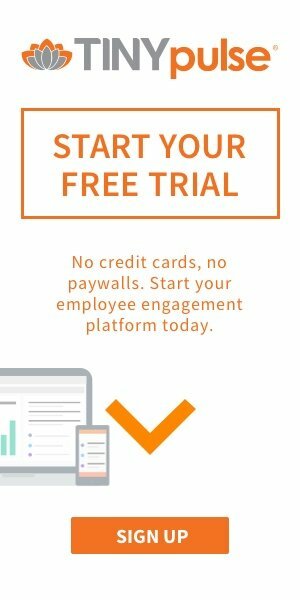 TINYpulse is just one small part of the company-wide initiative Fidelity is taking on to reimagine its end-to-end employee experience. 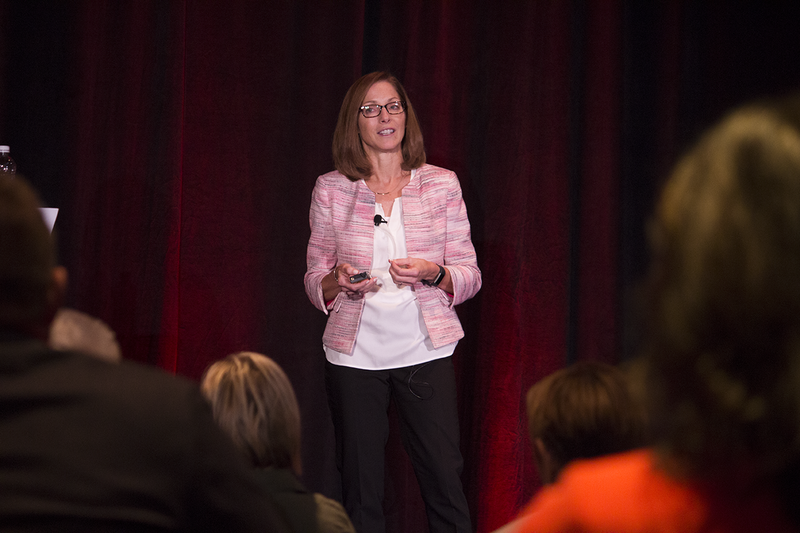 Clermont came to present at TINYcon 2017 about the cultural initiatives that Fidelity has taken on in its efforts to keep up with the changing demographics of its workforce, retaining millennials in its workforce. Watch Mary Clermont's speaking session from TINYcon2017 above, or read our takeaways below. A gen-Xer herself, Clermont recalls clearly her own motivations for moving into a corporate workforce. “I wanted to be recognized for my achievements and my accomplishments” she recalls, of the switch from military command to private enterprise. But even for her, the expectation of a corporate position then was one where you “pay your dues” with maybe one or two companies until you retired. That just isn’t the expectation anymore, in large part because that no longer aligns with what most of today’s workforce are looking for. WHAT ARE MILLENNIALS EXPECTING FROM THEIR WORKPLACE? While working in a corporate environment can be deeply satisfying, the ways that we measure that satisfaction are different today. The wake-up call for Clermont came when a high-performing young employee quit, citing “not feeling valued” as her reason for leaving. One of many losses, Fidelity was in the midst of realizing that it had a retention problem. For all the new hires that joined the team—almost 3,000 annually-- they were still hemorrhaging hundreds every year. The millennial workforce coming on board didn’t have the same desire to stay with one company till retirement. So, Fidelity undertook the momentous challenge of cultural change. The first step for Fidelity was to understand their existing team. Three hundred associates participated in empathy interviews that didn’t look at just the employee lifecycle from hire to retire, but also from the moment the employee woke up in the morning, to the moment they went back to sleep. This approach was chosen because they were certain that by integrating better into an employee’s life, they would see turnover go down. Since data shows that by 2025, 75% of the workforce will be millennials, they focused on understanding that demographic of associates. What they found were 40 pain points, and a ton of interesting demographic data on their employees. The values that brought Clermont to work in the corporate world a few decades ago aren’t the same as the ones driving young people into the work place today. Fidelity found that it’s millennials employees have very high social EQs (emotional intelligence); 84% of millennials have already made a charitable contribution, and most wanted to work somewhere that was values-driven. They also saw that loyalty wasn’t a very big culture driver for millennials. Since most millennials know that they’ll have three or four careers in their lifetime rather than the one or two of generations before, Millennials want to be continuously growing and learning, or they’ll go somewhere else. 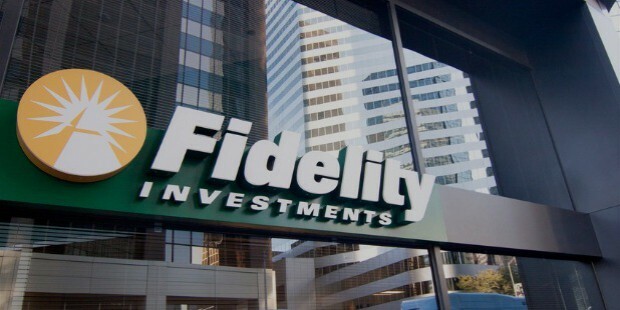 Fidelity immediately invested in changing its spaces and tech: they made the move to mobile-first interfaces, for their mobile-first associates. Benefits were made more relevant, by offering a student loan abatement program. Moreover, offices were redesigned with employee vision and feedback incorporated—which led to associates taking more pride and ownership in their office space. Fidelity also overhauled the management approach that had been governing associates, to find a more collaborative style that provided more freedom and more coaching. They relaxed the system around breaks, and encouraged managers to recognize the needs of their associates, and to put operations aside at moments to manage the people. They used the Denver office as a testing ground for these initiatives, and asked associates how likely they were to stay, after the changes had been implemented. “How likely are you to stay” was a question they had asked before, and so they used it as a baseline they could compare to. And then the data came in: before any of the work had begun, associates were 78% likely to stay. And afterwards, 93% reported being likely to stay at Fidelity. The changes made a monumental difference, almost immediately. Millennials aren’t going away, and neither are these values. And Clermont points out, millennials are driving cultural change; “They are not coming to the center, the center is coming to them.” Accounting for the change means staying ahead of the competition when it comes to recruiting and retention. It’s a truly awesome feat to steer the cultural ship of a company as big as Fidelity in a different direction. But thoughtful research and implementation, and what was ultimately an empathetic approach, led the way to excellent results. As they continue to be in the news, Fidelity’s decisive action towards a people-first culture is an example for all to follow. 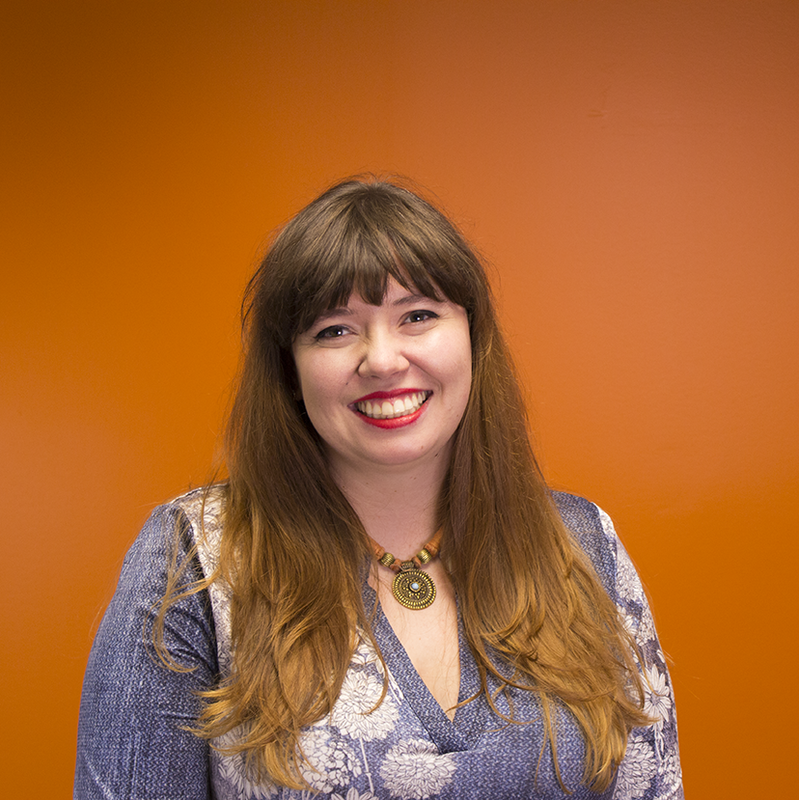 Mary Clermont spoke at this year's TINYcon 2017. To reserve your tickets to next year's TINYcon, and make sure that you're keeping up to date with the latest in employee engagement and company culture, get your early bird tickets now! If you're looking for more tips or info on improving company culture, you can also read our culture report here.